At this point you should have a pretty good understanding of why properly planning your weight training volume (the amount of sets, reps and exercises you do) is so important. And, you should also be familiar with what I consider to be the optimal volume range for most people, which is the total amount of reps you should do for each muscle group per workout and per week. From here, the next logical step is to break this optimal amount of volume down in terms of how many sets and reps you should do per exercise each workout. How Many Sets And Reps Should I Do Per Exercise? Simple. You should do exactly enough to allow you to fall within the optimal volume range for each muscle group. Honestly, as long as that happens, then exactly how you divide your volume up among exercises becomes a little less important. Below are the most commonly used and prescribed combinations of sets and reps you could do per exercise along with the total amount of volume each one produces. Also included is the level of intensity each rep range falls into as well as what fitness goal that combination of sets/reps/volume is most ideal for. Most ideal for strength related goals. Most ideal for strength goals, but also suited for building muscle. 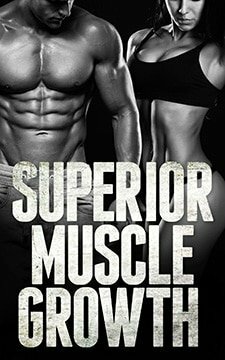 Equally ideal for increasing strength and building muscle. 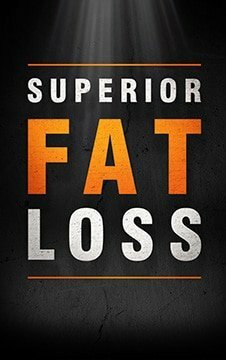 Most ideal for building muscle, but also suited for increasing strength. Most ideal for building muscle, but also suited for muscular endurance. Most ideal for building muscle, but also suited for endurance. Equally ideal for building muscle and improving muscle endurance. Low intensity. Most ideal for muscle endurance, but also suited for building muscle. Low intensity. Most ideal for muscle endurance. As you can see, based on your specific goal and what rep range is most ideal for it, you have quite a few set/rep combinations to choose from for each exercise you do. The fewer reps you are doing per set, the more sets you do. And, the more reps you do per set, the fewer sets you do. While this isn’t an absolute rule, it is what should be happening the majority of the time. The total volume being done per exercise is pretty similar despite the different amount of sets/reps being used. For example, 10 of the 13 popular combinations shown above produce between 20-36 reps total. The take home message? Most of the time, that’s probably how much volume you should end up doing per exercise. Alright, so you now know the most popular and proven combinations of sets and reps that can be used for an exercise. In order to put this information into action, you need to apply it to your optimal training intensity, volume and frequency. Let’s take an example person named PersonA. Let’s pretend PersonA is an intermediate or advanced trainee whose primary goal is building muscle (or really anything related to improving the way their body looks rather than performs). Their ideal frequency is to train each muscle group about twice per week. Their ideal rep range is 5-12 reps per set. Their ideal volume is 30-60 reps per big muscle group per workout (half that for smaller muscle groups), with about 2 workouts per week for each muscle group (since that’s their optimal frequency). In this example, PersonA chose to do 2 exercises. For both exercises, the set/rep combination they picked has them working in their optimal intensity range (which is 5-12 reps per set for this example person). And, these 2 set/rep combinations also combined to put them right in the middle of their optimal volume range per workout (which in this example was 30-60 reps for bigger muscle groups). This amount of volume (or whatever amount of volume is optimal for you, your goal, your experience level, and your training frequency) could have been reached just the same using various other set/rep combinations from that list above as well as a different amount of exercises. This was just one example of how to do it.